Diameter difference of the ID is H8, H9. straightness is 0.3mm/1000mm, 0.5mm/1000mm. The cold drawn procedure is conducted in the hydraulic cold-drawn machine, 250T. 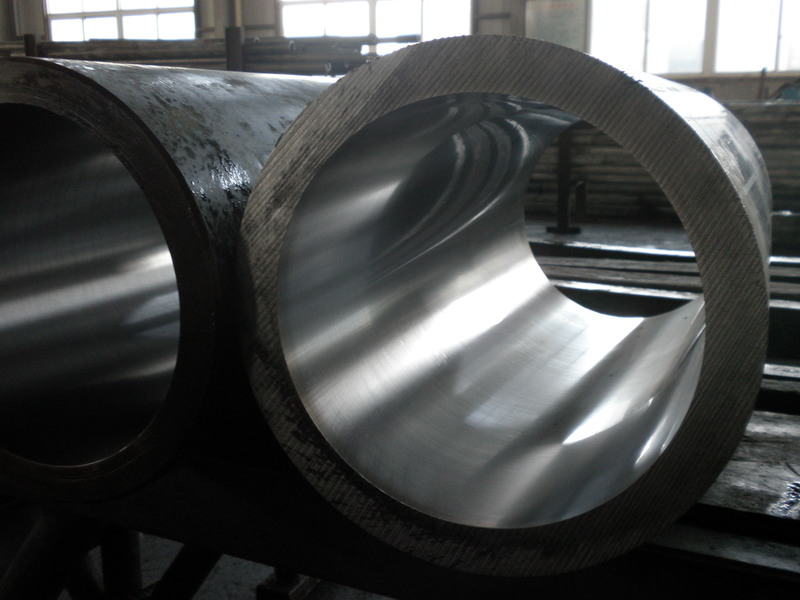 Product`s specification: 40mm to 630mm, OD 50mm to 820mm, wall thickness 5cm to 40cm, length of the single Cold Drawn Tube is less than 13.5 meters. Looking for ideal Hydraulic Steel Stinless Cylinder Manufacturer & supplier ? We have a wide selection at great prices to help you get creative. All the Honing Steel Cylinder are quality guaranteed. We are China Origin Factory of Cutting Steel Pipes. If you have any question, please feel free to contact us.